You may have wondered about how titles such as nutrition coach, nutritionist and dietitian differ. A nutritionist may be a nutrition coach, health coach or wellness coach. Nutrition and health coach certificates are awarded by private institutions and usually don't require academic schooling in nutrition. In contrast, a registered dietitian is a title accredited by the Academy of Nutrition and Dietetics, which requires a bachelor's degree and supervised dietetics practice. The terms nutrition coach and health coach are used interchangeably. These certifications are offered by a wide variety of sources, such as the Institute for Integrative Nutrition, American Council on Exercise and National Association for Fitness Certification. To become a nutrition or health coach, you are required to read some nutrition material or attend a series of classes and possibly take an exam. The American Council on Exercise certification requires an associate degree or comparable work experience. The Institute for Integrative Nutrition and National Association for Fitness Certification do not require college degrees to be awarded a nutrition coach title. After completing the program requirements, a health or nutrition coach certificate is awarded. Coaches will often refer to themselves as nutritionists, but they are not certified to work with different disease states. A food and nutrition expert certified by the Academy of Nutrition and Dietetics is called a registered dietitian or a registered dietitian nutritionist. To become an RD, you must complete a bachelor’s degree at a U.S. school accredited by the academy, complete a supervised practice program for six to 12 months and pass a national RD certification exam. Registered dietitians then must complete continuing professional education requirements to maintain licensure. This education certifies an RD to work with in a variety of settings with all age populations. An RD can educate about disease prevention, weight loss, healthy eating and treating chronic disease with medical nutrition therapy. RDs are hired to work in hospitals, food institutions, counseling roles, schools, community and public health settings and research facilities. 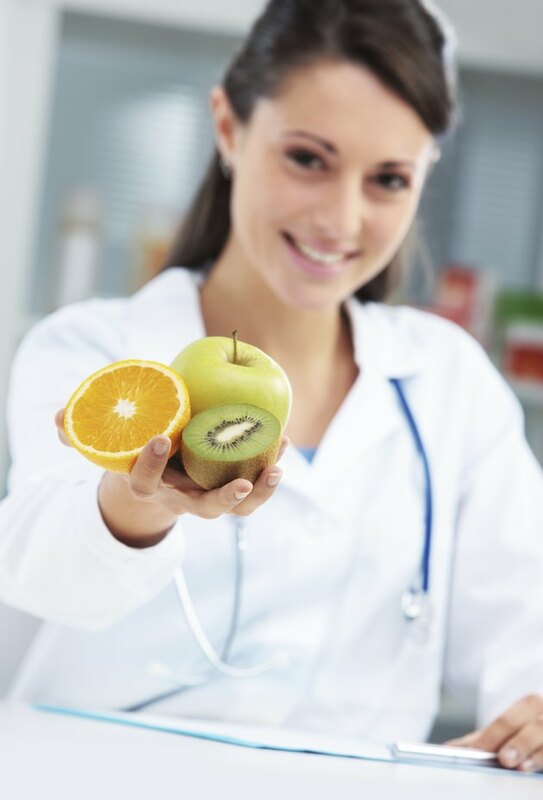 A registered dietitian can obtain a variety of specialist certifications to work in related fields, such as pediatric nutrition, renal nutrition, gerontological nutrition, oncology nutrition and sports dietetics. Each certification has its own requirements, but they generally require a certain number of practice hours and passing a certification exam. Dietitians can also pursue other medical specialty certifications, such as a certified diabetes educator. The time and money commitment for a health coach and nutrition coach certificate varies greatly based on the institution. The ACE Health Coach program provides a self study manual, which was $499 at the time of publication. A student of this program can take as long as she needs to complete the exam. Because registered dietitian candidates must complete a bachelor's degree and supervised practice, the process can take close to five years, and the cost can vary based on the institution. Academy of Nutrition and Dietetics: What Is a Registered Dietitian Nutritionist?